Basic Licensing and Copying Information. 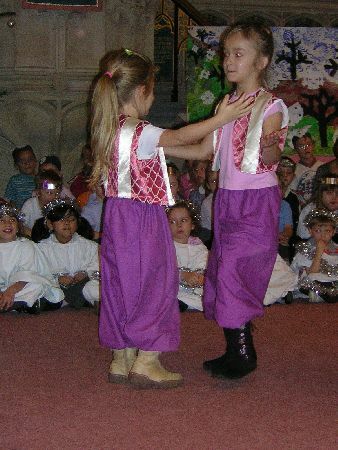 Performing a Starshine Musical or Cantata, in whole or in part, requires a Performing Licence (PL) from Starshine Music. An Instant Performing Licence (IPL) is generally the cheapest option, but may only be purchased at the same time as a Director's Pack (with or without QS). The option to order an IPL will pop up when you enter a quantity of Director's Packs. If applying for a performing licence at a later date, please use the calculation option on the order form. For further information on copying & licensing, please visit Licences & Copyright. 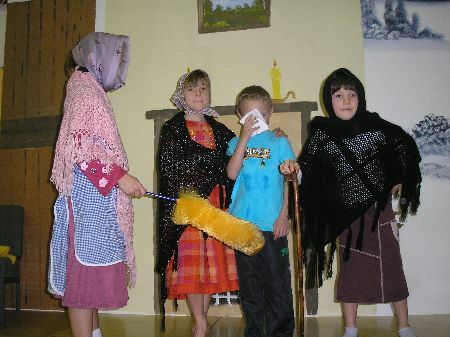 A charming version of the 'Babushka' tale, with lots of different roles to involve plenty of children. The show is very picturesque and the songs are delightful, with actions provided. Simple to produce and a real audience-pleaser! Babushka cleans her little house all day long to stop herself from noticing how lonely and sad she is. She’s so busy brushing away the spider, the mouse and the fly, that she fails to notice beautiful things going on around her: a new star shining in the sky, an angel hovering in her garden and an exciting message being spread by three mysterious kings. 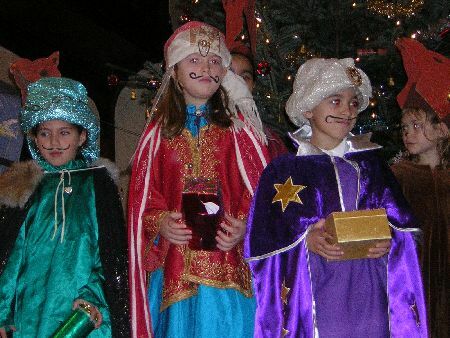 In a dream, an angel sings to Babushka of a baby boy born in a manger. Horrified to think of this baby shivering in a dirty stable, she sets off with a basket full of presents and cleaning materials. 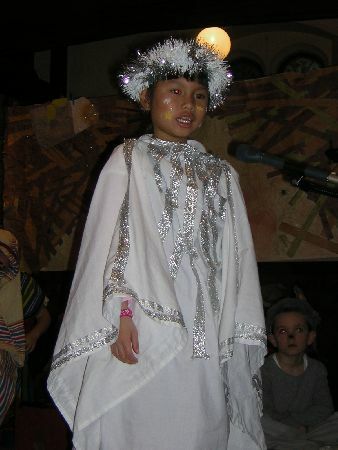 On her journey she meets people in need, and by the time she reaches Bethlehem she has learnt a valuable lesson, as well as filling an empty place in her heart. 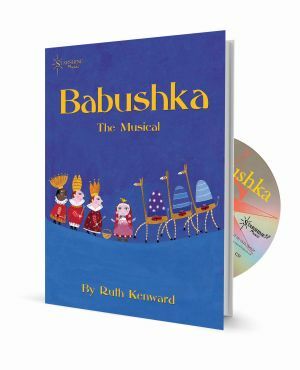 This musical was inspired by Sandra Horn's picture book 'Babushka'. If you would like a copy of this book to help you introduce the story to the children easily, you may order a copy below. 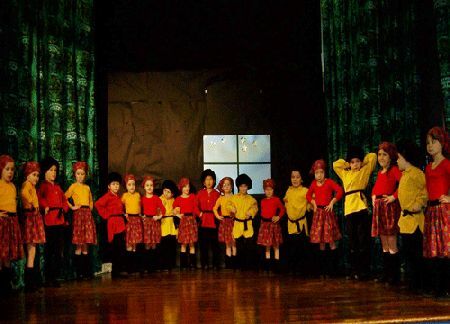 "We've just completed two spectacular performances of Babushka with nearly 100 children and very little rehearsal time due to 'snow days'! 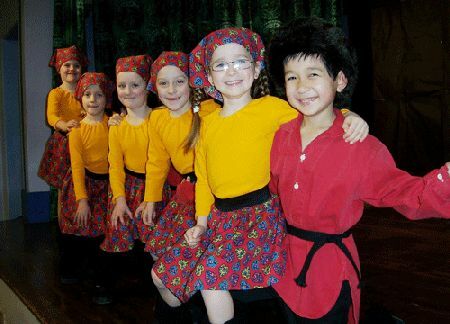 Both parents and children thoroughly enjoyed the production, especially the catchy songs, and I will certainly be using Starshine Music again!" ~ J Felton, Teacher, Essex. FREE crossword and word searches - see cast tab below. 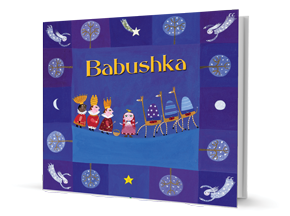 The story of Babushka was a nice twist on the traditional nativity story, and taught positive lessons on it's own. We added the book to our church library, signed by all the children. The director's guide was helpful and easy to follow. 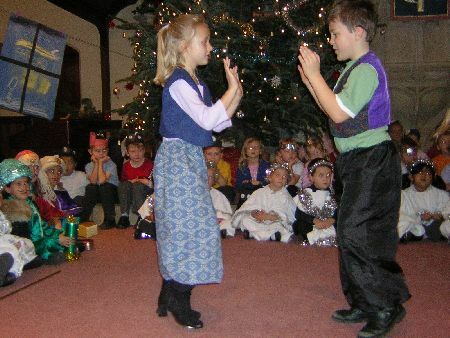 Some of the dialogue was more British and we used a few substitutions for use in the US; the same with the music and voices on the CD, which was sometimes a humorous confusion for the children. Our group of 40 preschool through Jr High really enjoyed the show. 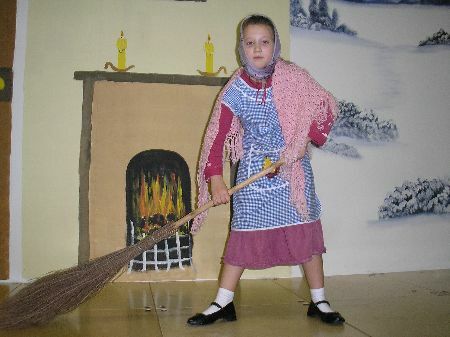 We've just completed two spectacular performances of Babushka with nearly 100 children and very little rehearsal time due to 'snow days'! Both parents and children thoroughly enjoyed the production, especially the catchy songs, and I will certainly be using Starshine Music again! This traditional story has a multi-cultural flavour and a big 'aaah' factor, as well as songs that are uplifting and memorable. 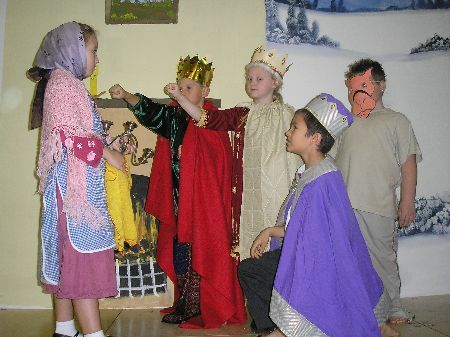 It was great to be able to read the story to the children before rehearsals began. It's really nice to be able to start with a story (with pictures!) 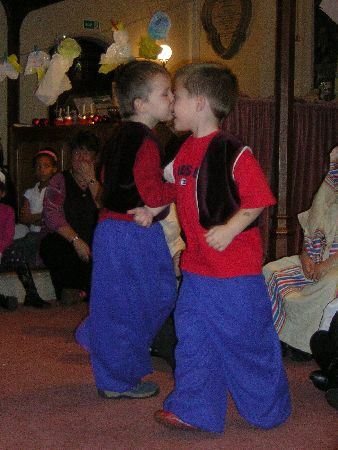 to get the children interested and involved very quickly. The children keyed in fast to the parts they wanted to play! 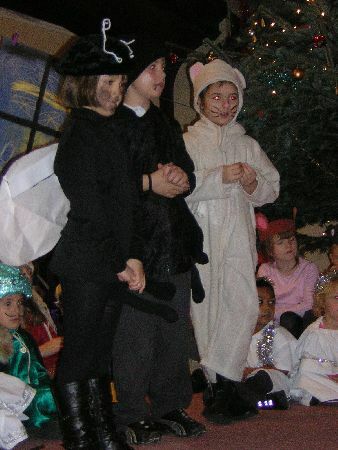 It was very quick and easy for us to present a production which we could all be proud of. We all really enjoyed it. Very good and very entertaining! 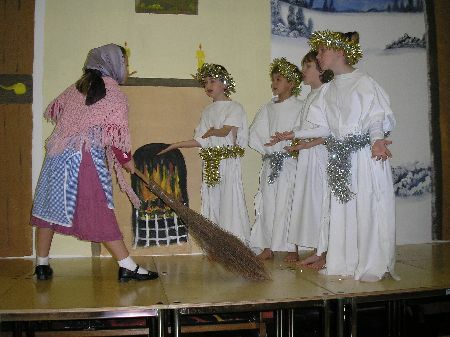 The children enjoyed all the songs and we enjoyed producing the show. 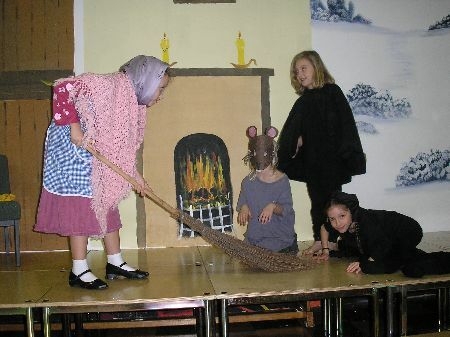 The musical/picture book combination was much appreciated - the children related well to the pictures in the book. This show moves quickly, has 'upbeat' songs so no one has time to be bored. Very well suited for this age group. 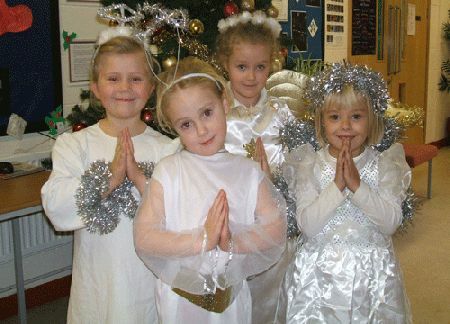 Review by Rev'd Marie Rowley-brooke, The Nenagh Union Of Parishes, Co Tipperary. 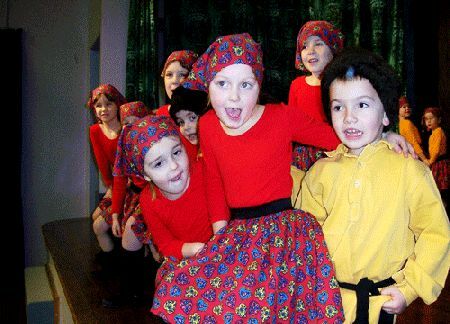 Our Junior Church performed 'Babushka' at a family worship, and then the following day performed it for our school, both to rapturous delight! An extremely well crafted little musical - We shall be back to Starshine again for more! The script is and very easy to direct. 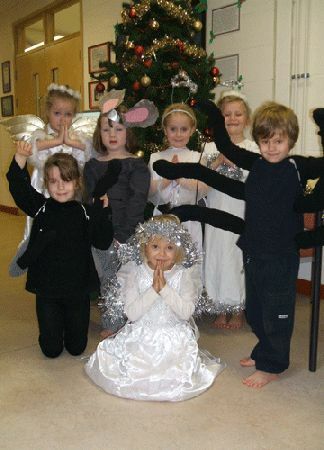 The children are enjoying the story which brings back the meaning of Christmas to young and old alike. 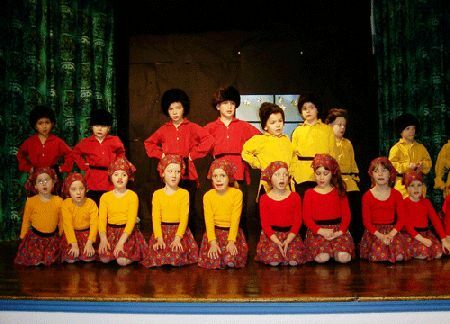 They are also learning about the culture and traditions in Russia at the same time. A wonderful musical! 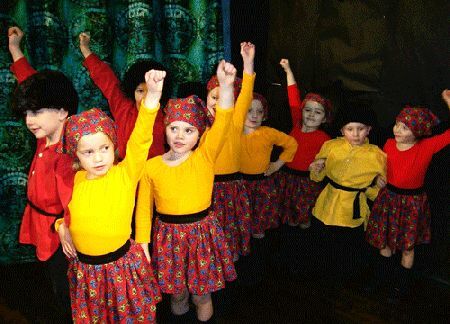 PowerPoint Presentations of lyrics are available for all of our children's musicals and songbooks. Thank you , your email address has been sent a verification email. Please verify your email address and we'll add you to our marketing list. Copyright © 2009 - 2019 Starshine Music Ltd. All Rights Reserved.